This week we review Zoolander 2 and Zootopia and we go over the disappointment that was the Oscars with Chris Rock.We have great details on the new Power Rangers movie, Legends of the Hidden Temple and Big Hero 6 are coming to TV, and High School Musical is being revived. We review Hail, Caesar!, Deadpool, and Pride and Prejudice and Zombies. Happy Birthday is finally Public Domain, Pacific Rim 2 is back on. Plus dub cast announcements, Assassination Classroom ending, a possible Skip Beat dub is on the way if you donate and more! We review Kung Fu Panda 3, plus Quantum Chess, MacGyver coming back several ways, Funimation is losing Fullmetal Alchemist to Aniplex, Nicktoons are getting a big crossover movie, and much more! This week there’s changes to the Oscars, Star Wars and Avatar are delayed, FOX tried to cheap out on the X-Files, and Jessica Jones gets renewed! Then in Talk Nerdy to Me, we have a Steven Moffat is leaving Doctor Who, Blood Blockade Battlefront gets an OVA, plus Deadpool celebrates Australia Day and Kylo Ren does Undercover Boss. Award season is in full swing with the Golden Globes, Oscar and Razzie Nominations, the sad deaths of David Bowie and Alan Rickman, and Deadpool marketing is perfect. My Geek Confessions #178 – 01/08/2016 – Back in Action! We’re back with another recap episode! We review Sisters, Star Wars (with opinions you may not expect for both), NBC’s The Wiz Live!, and Galavant and bring up a bit of big news that we wanted to bring up. 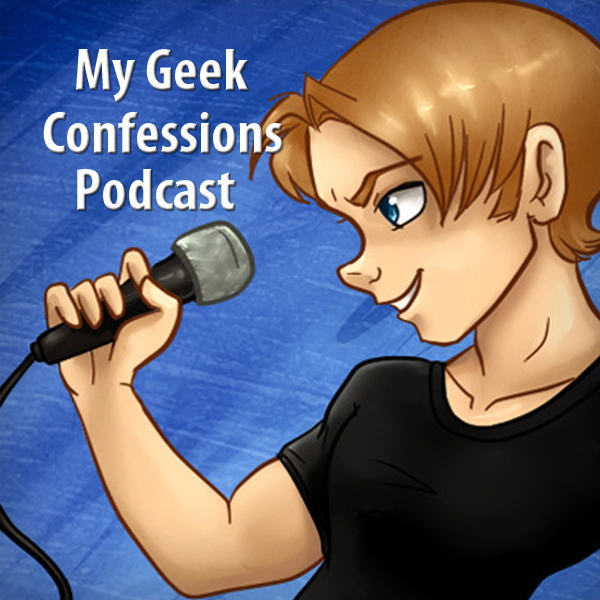 My Geek Confessions #177 – Special Guest Greg Ayres from ANT 2015! Our second interview episode from Anime North Texas 2015 with special guest Greg Ayres! We discuss how Greg Ayres got his start, his voice work and DJing, going between Sentai Filmworks and Funimation, and his latest projects! In our out of the ordinary episode, we catch up on news from the last few weeks, cover lots of trailers, and review Mockingjay Part 2, Spectre, The Good Dinosaur, and Victor Frankenstein! Believe it or not, we liked Victor Frankenstein the most! After a delay because of Thanksgiving holiday, welcome to part 1 of our Anime North Texas 2015 interviews! In episode #175, we interview voice actors Chuck Huber, Chris Rager, and Josh Martin. Jem and the Holograms gets kicked out of theaters, Stephen Colbert, James Corden, and John Oliver all have great segments, William Shatner wants a Star Trek musical, Bob Ross comes to Twitch, and Show by Rock!! is back for a second season.